EmployID has been invited to the symposium on coaching and supervision at the "Jobcenter" in Kassel, Germany, which had been initiated by the large German supervision association DGSv. Results from the research on coaching and supervision in Jobcenters were presented and discussed. The main target group for this workshop were supervisors and coaches that already work as external or internal supervisors and coaches in German Jobcenters and employees of German Jobcenters who already benefit coaching and supervision or are interested in coaching and supervision. Forming, transforming, developing identity has become increasingly complex with the complexity of the landscapes of knowledge and competences and the individual learning trajectories in this landscape. To the TEL community, he has posed the challenge of finding ways of supporting identity-related processes. EmployID addresses with its research one important aspect in this challenge: how to facilitate with the use of technology such identity transformation in a professional context. 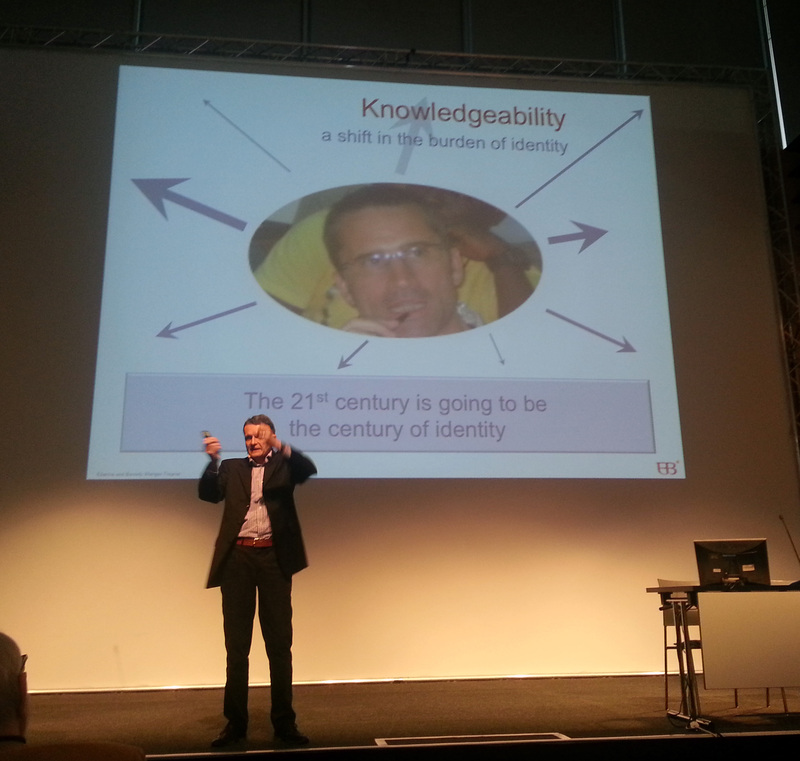 EmployID also adds the collective perspective of identity development. We're excited to continue on this learning journey to contribute to meeting this challenge! Motivational Aspects are of particular importance when it comes to learning and identity development. However, there are only a few research results on systematic engineering processes for considering motivation as part of motivational design. 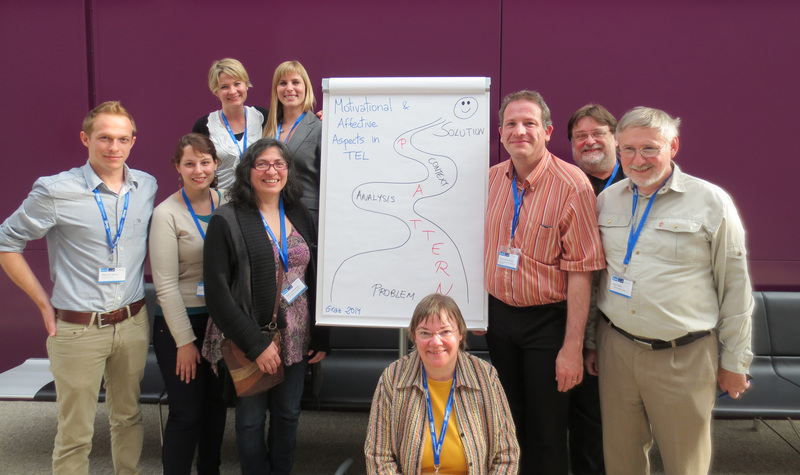 To foster such research is the mission of the MATEL Workshop series for which the sixth edition has successfully taken place as part of ECTEL 2014 and I-KNOW 2014 in Graz, Austria. It has been organized as a joint activity of the projects EmployID, Learning Layers and MIRROR. The focus of the workshop was on developing a pattern-based approach to capture the experiences that have been gathered in various contexts in a structured way. The workshop participants actively discussed along a hands-on session of developing a pattern how a structure and process for such patterns should look like. The results are summarized under http://matel14.professional-learning.eu, and participants have agreed to continue the activity within online meetings in the coming months. With now almost five months after the start of the project and its "contextual investigation phase" in full swing, EmployID is preparing for adopting a more structured approach to its agile project management approach. While there are plenty of materials and experiences with agile project management and agile development for customer projects, little consideration has been given to the specific nature of multi-disciplinary, multi-national research projects. While Scrum as an agile project management methodology seems appropriate to address the challenges, its basic assumptions are not easy to meet in such a setting. Therefore we have started to adapt the methodology to large-scale research projects, also based on experiences that have been collected as part of earlier projects, such as the MATURE project. Continuing with the same dedication and level of engagement, all EmployID partners meet today via Flashmeeting to coordinate the activities for the kick-off in February. These activities around MOOCs, involving associate partners and discussing joint activities, exploration of ideas and setting up a sustainable and effective collaborarion infrastructure give the project a headstart.